Following a wildly enjoyable 2017 season, the Yankees took a leap of faith. They parted ways with longtime manager Joe Girardi, a proven and successful big league skipper, and opted to replace him with a rookie. We just didn’t know which rookie. The Yankees interviewed six managerial candidates and only one, Eric Wedge, had prior experience as a big league manager. The six managerial candidates: Wedge, Carlos Beltran, Aaron Boone, Hensley Meulens, Rob Thomson, and Chris Woodward. The original plan was a first round of interviews with the front office, then bringing two or three finalists to Tampa to interview with ownership. The second part never happened. The Yankees were so blown away by Boone that they skipped the second round of interviews entirely. Boone’s first season as a big league manager was a success, generally speaking. The Yankees went 100-62 despite losing Aaron Judge and Gary Sanchez for long stretches of time, which essentially matched their 99-63 expected record based on run differential. The Yankees exceeded expectations last season under Girardi but they did underperform. They went 91-71 while their run differential pegged them as a true talent 100-62 team. En route to winning those 100 ballgames, Boone showed his inexperience at times, especially in the postseason. 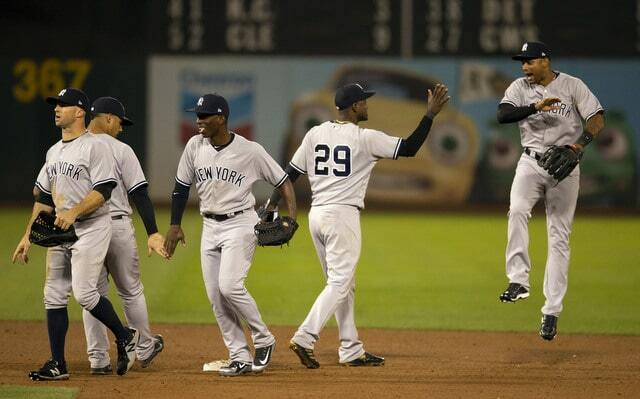 The Yankees won the AL Wild Card Game before being bounced in the ALDS in four games. No loss is ever fully on the manager — the players play, after all — but Boone made life unnecessarily difficult along the way. Let’s review his first season as an MLB manager. If nothing else, Boone indicated a willingness to be creative in Spring Training. He talked about using his setup relievers interchangeably. He toyed with batting Judge leadoff against left-handed pitchers. He expressed a dislike for personal catchers. It was music to my ears. Boone’s words made him seem like the platonic ideal of a modern manager. Finally, some creativity would come from the dugout. 1. Boone had an Eighth Inning Guy. Dellin Betances, specifically. Girardi loved his defined bullpen roles. He had a set Eighth Inning Guy and, whenever possible, a set Seventh Inning Guy as well. Boone talked about using his guys interchangeably. Instead, Betances was the Eighth Inning Guy and David Robertson was the primary Seventh Inning Guy until Zach Britton came along. Chad Green doubled as the Fifth & Sixth Inning Guy. Those same bullpen roles that existed under Girardi existed under Boone. 2. Splitting up same-side hitters was important. So important that Judge and Giancarlo Stanton, two of the most fearsome hitters on the planet, batted back-to-back only 35 times in the 113 games Judge was healthy. (I would’ve guessed it was fewer than that.) Most of the time Boone squeezed Didi Gregorius between Judge and Stanton to break up the righties. Aaron Hicks hit third a bunch of times as well. Girardi always sought to split up his left-handed bats in the lineup, even if it meant squeezing an inferior hitter between two lefties. Boone did the same thing, only he had to split up righties because his roster is right-handed heavy. 3. About those personal catchers. “We’ve got an elite level catcher. We’re not going to sit down and get into the personal (catcher) stuff,” Boone said in Spring Training. Five starts into his season — five! — Sonny Gray had a personal catcher in Austin Romine. Gray had terrible numbers with Sanchez, so the Yankees paired him with Romine, and wouldn’t you know it? Sonny was pretty terrible with Romine too. Sanchez missing time contributed to this to some degree, but, even when he was healthy, it was Romine paired with Gray. Girardi had an affinity for personal catchers and I always assumed it was an ex-catcher thing. This year, it happened again, even when it shouldn’t have. 4. Rest. Rest rest rest. About three hours before every game, without fail, is lineup complaining o’clock. The lineup comes out and the same refrains pop up on social media. Why is this guy sitting? Why is that guy playing? Why is he batting so low? Day after day after day. I admire the folks who have the energy to complain about the lineup every single day. I really do. Complaining about the lineup is a baseball fan birthright. Everyone does it. Some more than others. Like Girardi, Boone gave fans plenty of reasons to complain about his lineups. He rested his regular players often — the only notable exception was Stanton, who started 85 straight games at one point this past season — and those rest days were usually predetermined. I specifically remember Greg Bird hitting two home runs on June 29th and sitting on June 30th as a day with louder than usual lineup complaints. The rest plan doesn’t change. Also, the rest thing applies to the bullpen as well. Only 75 times this season did Boone use a reliever on zero days rest, the fourth lowest total in baseball. Last season Girardi used a reliever on zero days rest only 79 times, the third fewest in baseball. The year before that it was 99 times, the 12th fewest in baseball, but they were only a handful of games away from being bottom five again. I don’t think there will be a meaningful difference between Girardi and Boone in terms of on-field strategy. The lineup kinda writes itself, at least through the top six spots or so, and the bullpen is deep enough to survive the rookie manager’s learning curve. The front office has a lot of input into that stuff anyway. And wouldn’t you know it? There wasn’t a meaningful difference in strategies between Girardi and Boone, at least during the regular season. Everything the Yankees did under Girardi, from the rest to the bullpen roles to the lineup construction, was the same under Boone. That strongly suggests — but does not confirm — the front office has a huge role in the day-to-day operations. I’m not saying the front office dictates moves. But I am certain they help set strategies and lay out guidelines. Why make the managerial change then if the strategy was going to remain the same? Communication, presumably. That was the buzzword when Girardi was let go and Boone was hired. The Yankees wanted a better communicator to connect with their young team and, by all accounts, they got it. We’ll never know what goes on behind the scenes, but Boone is much more personable than Girardi and easier to talk to. That’s what the Yankees wanted. Improved communication. The on-field strategy was never going to change all that much. We’ll always be able to quibble with individual moves but the big picture strategy was the same under Boone this year as it had been under Girardi the last few years. The difference between the two really showed up in the postseason, where Boone’s inexperience was on full display. He was not the reason the Yankees were knocked out in the ALDS — it was a team effort — but Boone was certainly a factor. To me, Boone made three glaring mistakes in the postseason, one of which he repeated multiple times. I’m going to rank those mistakes and not in terms of how much they hurt the Yankees. I’m going to rank them according to the logic behind the move, or lack thereof. In baseball, you can do everything right and still lose. Or you can do everything wrong and still win. In the postseason, Boone did a lot of things wrong and lost. 1. Lance Lynn with the bases loaded? Seriously? Good gravy was this bad. With the bases loaded and no outs in the fourth inning of ALDS Game Three, and the Yankees already down three, Boone went to Lynn to escape the jam. Not a high strikeout reliever like Robertson or Betances or Green, or even a ground baller like Britton. He went to Lynn, a fastball only pitcher against a lineup that hammered fastballs. Predictably, Lynn allowed all three inherited runners to score and then some. Going to Lynn in that spot showed a basic lack of understanding of the available personnel. We hear and talk about matchups a lot in baseball and it all boils down to matching up skill sets. Other relievers in the bullpen had the skill set more likely to escape a bases loaded, no outs situation, specifically the ability to miss bats and avoid balls in play. Lynn has bullpen experience but he has been a starter primarily throughout his career. Boone went to him in an unfamiliar situation rather than a reliever who could get a strikeout. It was bad. Bad bad bad. 2. Too long a leash. This happened three times in five postseason games. The first time Boone got away with out. He sent a laboring Luis Severino back out for the fourth inning in the Wild Card Game — Severino had not yet allowed a hit, but he was walking people and running deep counts — and he quickly allowed two hits. The Yankees were up 2-0 at the time and suddenly the go-ahead run was at the plate. Betances bailed Boone (and Severino) out there. I thought Severino should’ve been done after the third. I said it at the time. In ALDS Game Three, Boone again left Severino in far too long. Severino allowed three runs in the first three innings and was sent back out in the fourth, which led to the bases loaded jam Lynn inherited. One day later, in Game Four, Boone stuck with CC Sabathia in the third inning even though the Red Sox were putting good swings on him and Sabathia generally wasn’t sharp. Four of the seven men Sabathia faced that inning reached base with several loud outs mixed in. The Red Sox took a 3-0 lead. “Sharpening the process” did not happen. Boone repeated the same mistake — sticking with his starter beyond the point where it was clear he was not the best option — on back-to-back days. After Game Four he said the plan was to stick with Sabathia through Jackie Bradley Jr., the final batter in that third inning, to get the left-on-left matchup. 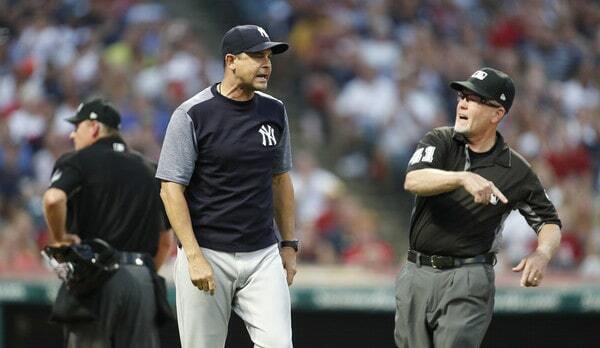 The plan was to get the Sabathia vs. Bradley matchup no matter what happened before that. Things were not going according to plan and Boone failed to adjust. He failed to see what was happening right in front of him. For the second day in a row. 3. Andujar stays on the bench in Game Four. This really bugged me even though it wasn’t as egregious as the Lynn fiasco or the long leashes. As the Yankees rallied in the ninth inning of ALDS Game Four, extra-base hit machine Miguel Andujar stayed on the bench. Luke Voit and Neil Walker were both allowed to hit that inning and hey, both reached base, but I saw those as prime pinch-hitting opportunities. The Red Sox pounded Voit with high velocity right-handed fastballs and Craig Kimbrel was on the mound. Walker simply is not as good a hitter as Andujar at this point of his career. Andujar instead stayed on the bench and the AL Rookie of the Year runner-up never played in the game that sent the Yankees home for the offseason. Argh. In the most basic terms, a manager’s job is to put his team in the best position to win. Sometimes it works out, sometimes it doesn’t. That’s baseball. In the postseason, it’s awfully hard for me to see how Boone put the Yankees in the best possible position to win. 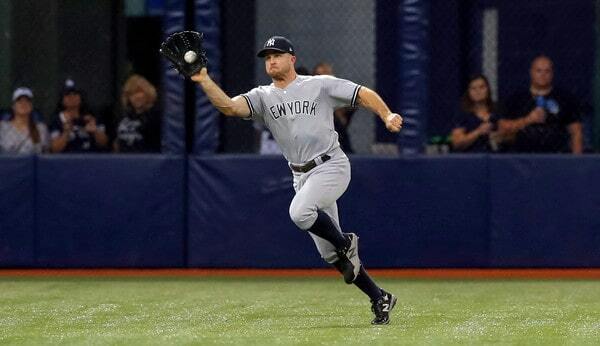 He was far too patient with his starters, the Lynn decision was inexplicable, and leaving a hitter like Andujar on the bench as the team attempts a last gasp comeback was a blunder. There was a decided lack of urgency on Boone’s part. A lack of urgency and the inability or unwillingness to adjust on the fly. The regular season was more of the same. In the postseason, Boone’s inexperience was very costly and impossible to ignore. That’s a general manager sticking up for his guy. Nothing more. Boone doesn’t deserve an A for his performance, especially not during the postseason, and frankly grading a manager isn’t easy anyway. All we see are the on-field decisions. The lineups and bullpen moves, etc. We don’t see what happens behind closed doors in the clubhouse, on the team plane, and at the hotel. That is just as important as the on-field stuff, if not more. 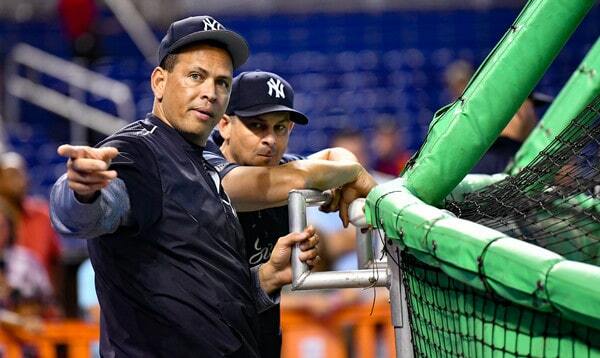 The Yankees were never going to fire Boone after one season and, even if they were, they would’ve done it already. We’re in December now. Boone will be back next season and, if I had to put money on it right now, I’d bet on him being back in 2020 as well. 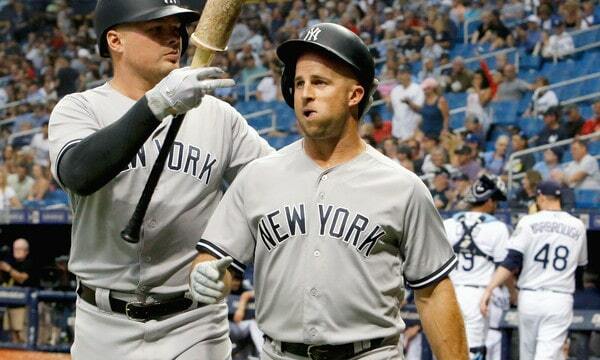 The Yankees love Boone and they knew they were getting an inexperienced manager. They’re going to give him a chance to grow. Should a team that is ready to win now be willing to wait for an inexperience manager to learn the ropes? It is a fair question. Windows can close quickly in this game. You don’t want to waste time grooming a manager when you have guys like Judge, Stanton, Severino, Sanchez, Hicks, and Gregorius in their primes. The Yankees determined Boone was worth the wait. That he showed the underlying skills to become a top notch manager. Not a whole lot has to change in regular season, if anything. The Yankees must hope Boone learns from his postseason mistakes though. In his first season as a manager or coach at any level, Aaron Boone finished fifth in the AL Manager of the Year voting. MLB and the BBWAA announced earlier tonight that A’s skipper Bob Melvin has been named the 2018 AL Manager of the Year. Not a surprise given their improvement from 75-87 last year to 97-65 this year. Red Sox manager Alex Cora finished second in the voting and Rays skipper Kevin Cash was third. For all intents and purposes, the Manager of the Year award is the “manager of the team that most exceeded expectations” award, and that doesn’t fit Boone or the Yankees at all. The Yankees came into the season as World Series contenders and they were very good, going 100-62 and finishing with the third best record in baseball. Generally speaking, they met expectations, and meeting expectations doesn’t win this award. Boone received received two third place votes and finished behind Melvin, Cora, Cash, and Astros manager A.J. Hinch. This is the tenth straight season the Yankees’ manager received Manager of the Year votes. Joe Girardi did not receive any votes in 2008, his first season with the team, but he received votes every year from 2009-17. Girardi won the NL award with the 2006 Marlins and topped out with a third place finish in 2009 with the Yankees. The full voting results are available at the BBWAA’s site. As a reminder, these are regular season awards only. Ballots are cast before the postseason. No one asked me, but I would’ve voted for Cash. Cash got his team to buy into the “opener” strategy and it was a big reason they won 90 games. The opener machinations are one of the few tangible pieces of evidence we have of a manager making a difference on the field. Shrug.